POLISH DANCE GROUP “WIELKOPOLSKA” - Council of Polish Organisations in the ACT Inc. Established in 1981 by Christine Mikolajczak the dance group consists of children, teenagers and young adults of Polish ancestry. They have a large repertoire of dances from various regions of Poland which they are continually expanding. 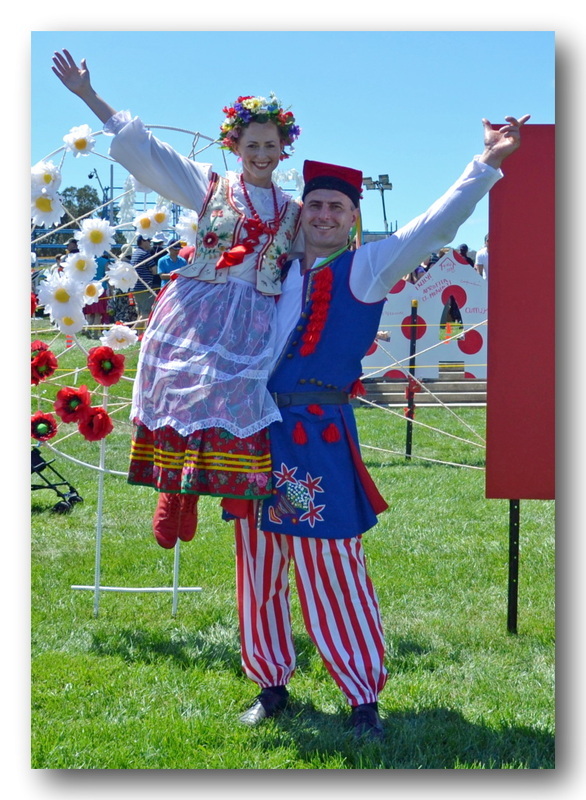 Their regional costumes are authentic being sourced from the original regions of Poland. Their purpose is to teach, maintain and continue the rich Polish folkloric dance heritage to their children and future generations. 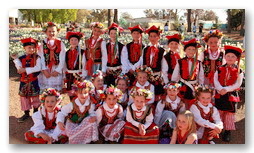 By promoting Polish folklore the Wielkopolska Dance Group hope they have contributed in some way towards the development of better mutual understanding and respect for the various ethnic groups living in Australia, and more particularly, towards the formation of new cultural traditions in this country. They have performed locally at various Polish and Australian events including the National Multicultural Festival, Floriade, the Bicentenary. Nationally they have performed at various Pol-Art Festivals.